Get ready to cackle like a hyena at the funniest fundraiser in town; ZSL’s Roar with Laughter comedy night is back at the Eventim Apollo on Friday 16 November 2018. Raising vital funds for wildlife conservation, the ever-popular Roar with Laughter’s star-studded line-up includes Ab Fab’s Harriet Thorpe, Rob Deering, Mo Gilligan, La Voix and Britain’s Got Talent 2018 winner Lost Voice Guy, with more exciting acts to be added soon. 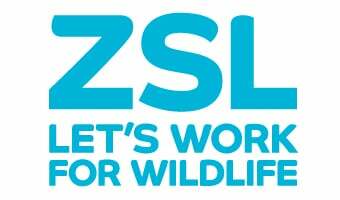 Hosted by ZSL, Roar with Laughter raises funds for its diverse work for wildlife around the world, which ranges from protecting tigers to successfully reintroducing scimitar-horned oryx back to the wild. ZSL Fundraising Director James Wren said: “ZSL’s Roar with Laughter promises to be a night of hilarity, with these brilliant comedians helping us to raise a laugh for a good cause. We’re certain we’ll hear more than a few snorts, howls and roars on the night. ZSL’s Roar with Laughter comedians will be taking to the stage on Friday 16 November 2018, at the Eventim Apollo. Doors open at 7:00pm. ZSL and Sophie Allport are asking house-proud animal-lovers to help stop the illegal wildlife trade – from the comfort of their own home.